Preventable Tragedy? Demetrius Stewart, Innocent Victim, Killed in Richmond Heights Bowling Alley Shooting. Did negligent security contribute to the senseless fatal shooting of Demetrius Stewart at a Richmond Heights, MO bowling alley and are justice and compensation available to the victim’s family? The shooter has apparently been arrested and charged. Bowling alley patrons have a right to feel safe and secure while on the premises. The Murray Law Firm questions the level of security provided at the establishment and whether this shooting may have been prevented. Generally, property owners are required to protect all those legally on the premises from any foreseeable harm. 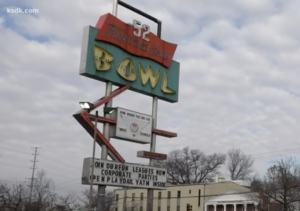 Should the facts of this matter reveal that the bowling alley owner failed to provide adequate security to protect those on its premises, Demetrius Stewart’ family may seek justice and elect to pursue legal claims for his wrongful death.